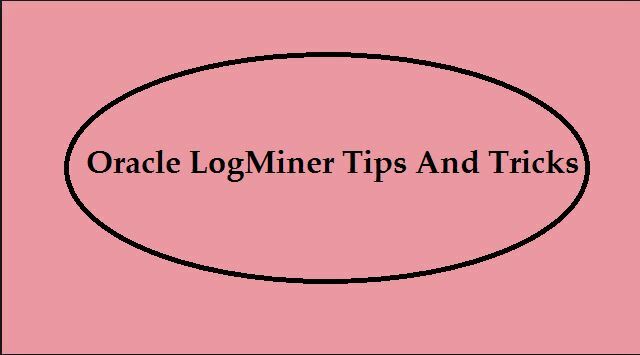 Logminer is a utility provided with the Oracle database server which mines the redologs or Archivelogs and data dictionary information to build the SQL statements and keeps the contents of the redolog file in the fixed view called ” V$logmnr_contents “. 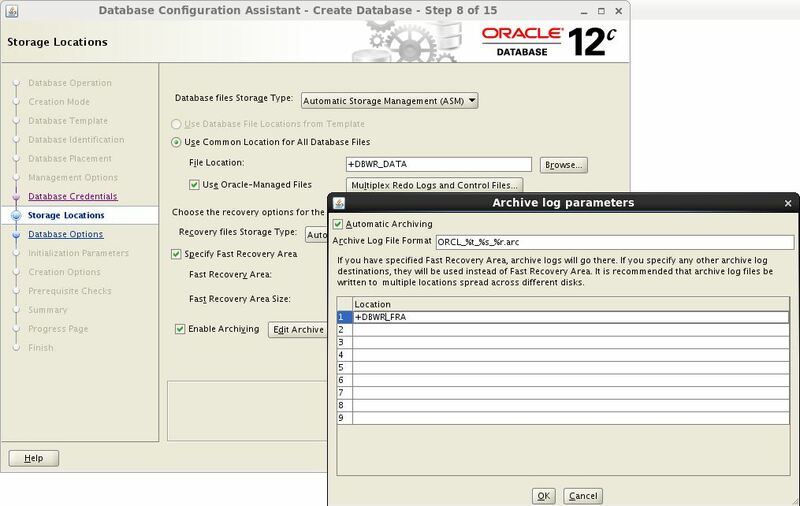 LogMiner tool can help the DBA to the find changed records in redo log files by using a set of PL/SQL procedures and functions . 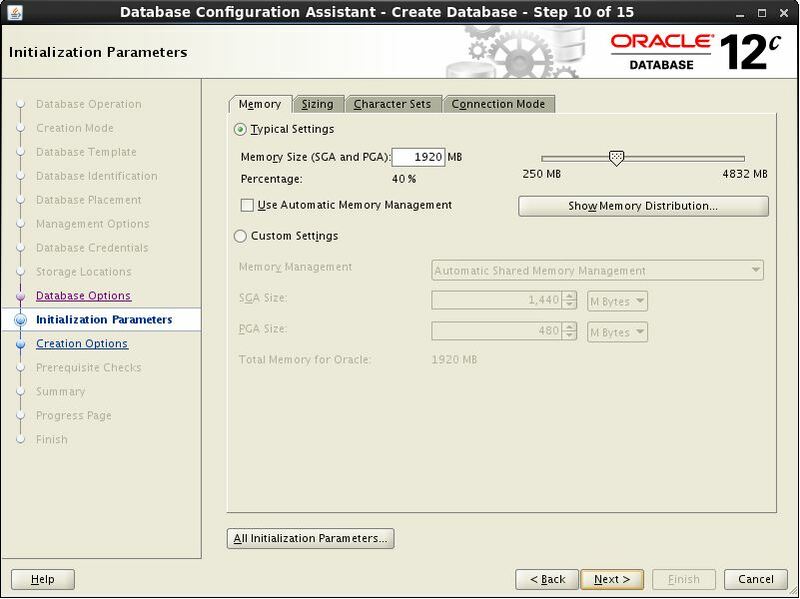 Internally Oracle uses the Log Miner technology for several other features,such as Flashback Transaction Backout,Streams, and Logical Standby Databases .Most often LogMiner is used for recovery purposes when the data consists of just a few tables or a single code change . 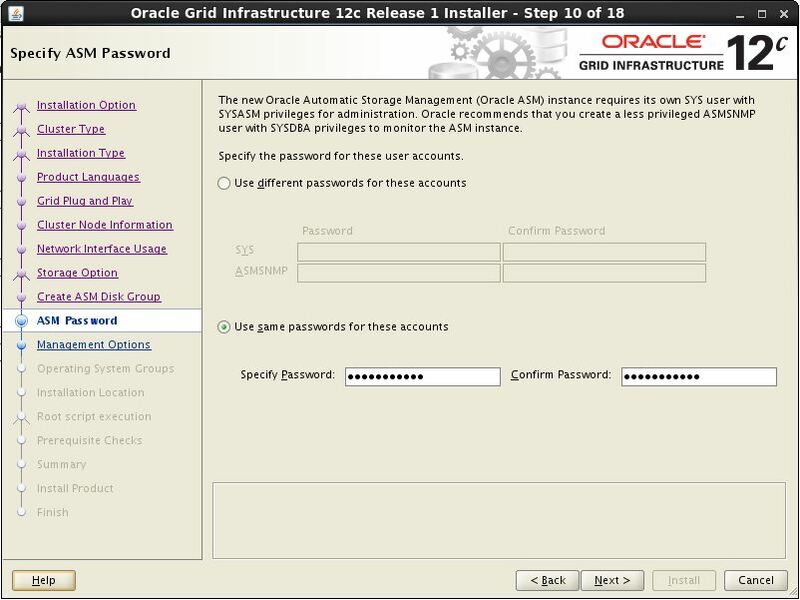 In this Scenario,we are checking that Username who Dropped the Table using LogMiner utility. 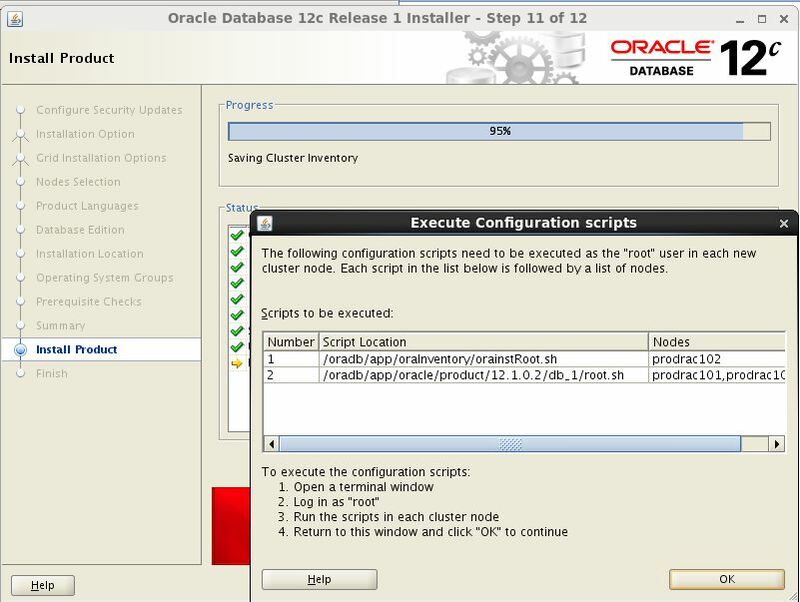 Normally we set the UTL_FILE_DIR parameter where you need to create dictionary file.From 12.2,we need to create directory object. 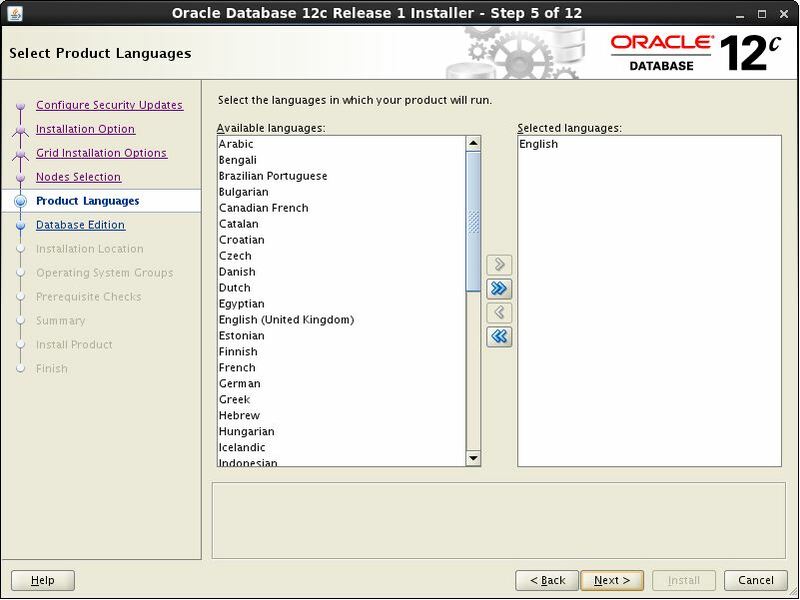 The dictionary file is used to translate this data into a more meaningful format. Specify a filename for the dictionary and a directory path name for the file. 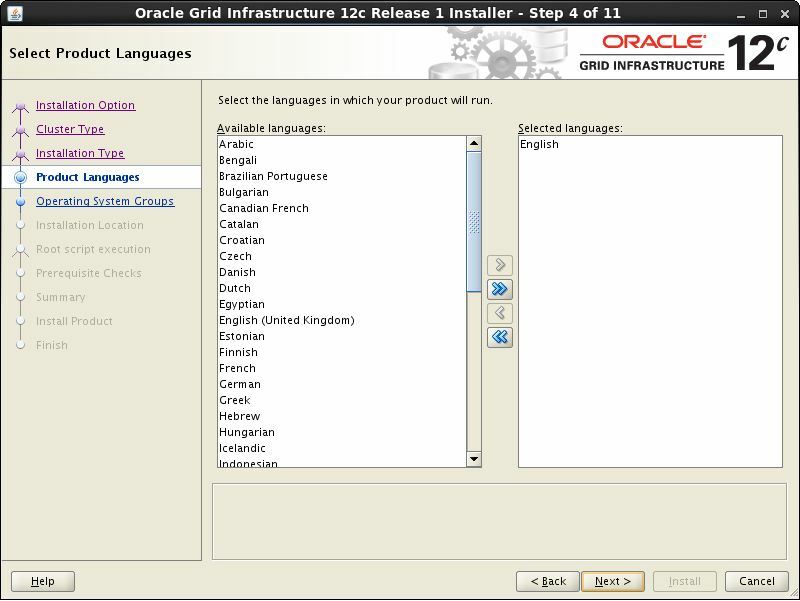 This procedure creates the dictionary file. 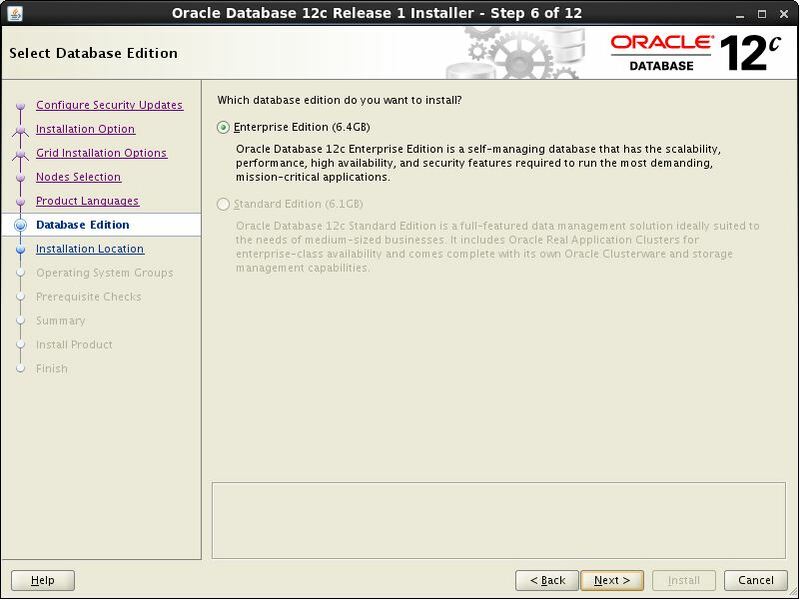 The dictionary file is created using the BUILD procedure in the DBMS_LOGMNR_D package. 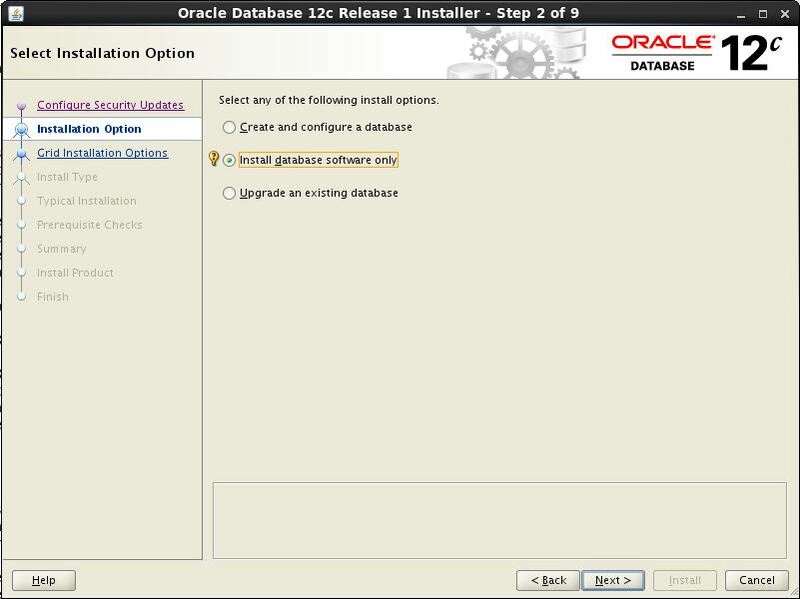 Adding logfiles using NEW procedure first and add all logfiles using ADD_LOGFILE procedure. When the LogMiner session ends then v$logmnr_contents is no more accessible . Its always better to copy contents of v$logmnr_contents to a user table and then perform the analysis as it is quite expensive to query v$logmnr_contents . 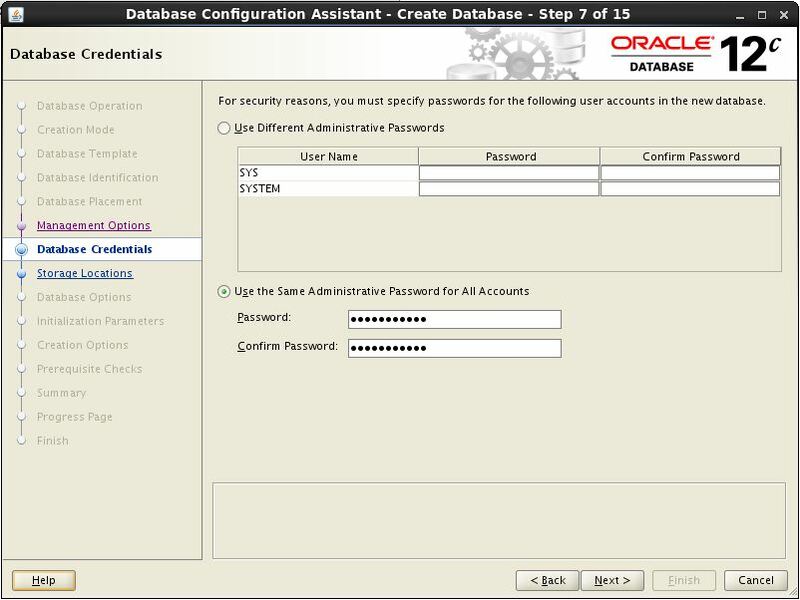 Now we can catch that user who dropped the table, the user is ‘HARI’ and also we can check who created the table. 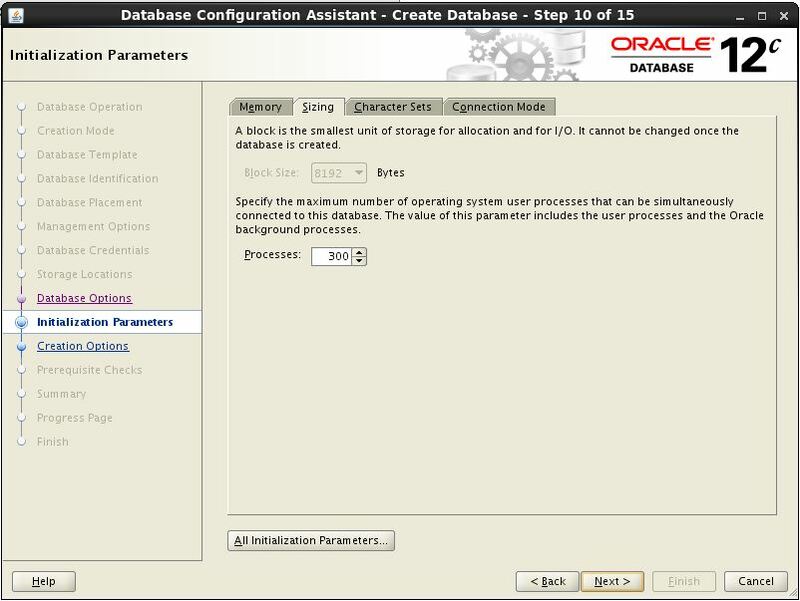 To filter data by time, set the STARTTIME and ENDTIME parameters in the DBMS_LOGMNR.START_LOGMNR procedure. Once the analysis is complete, logminer should be stopped using the END_LOGMNR procedure. LogMiner information is contained in the following views. 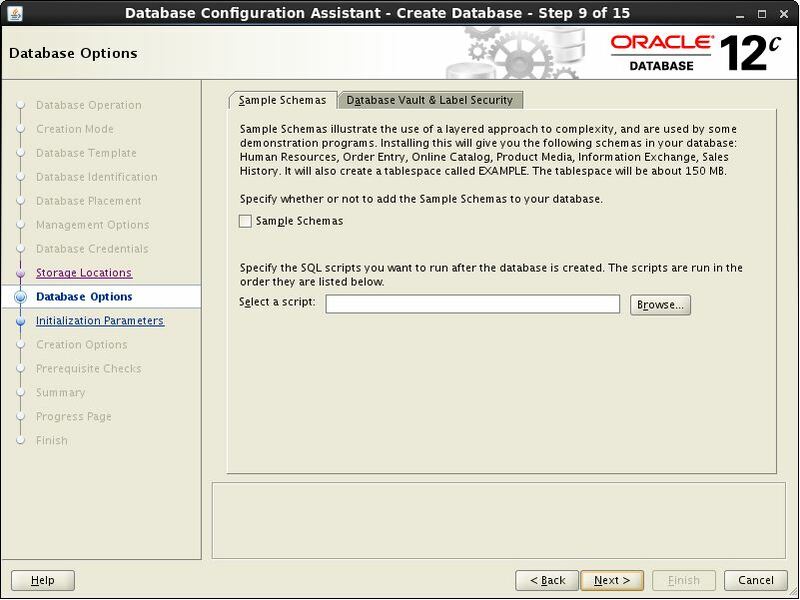 We can use SQL to query them as we would any other view. 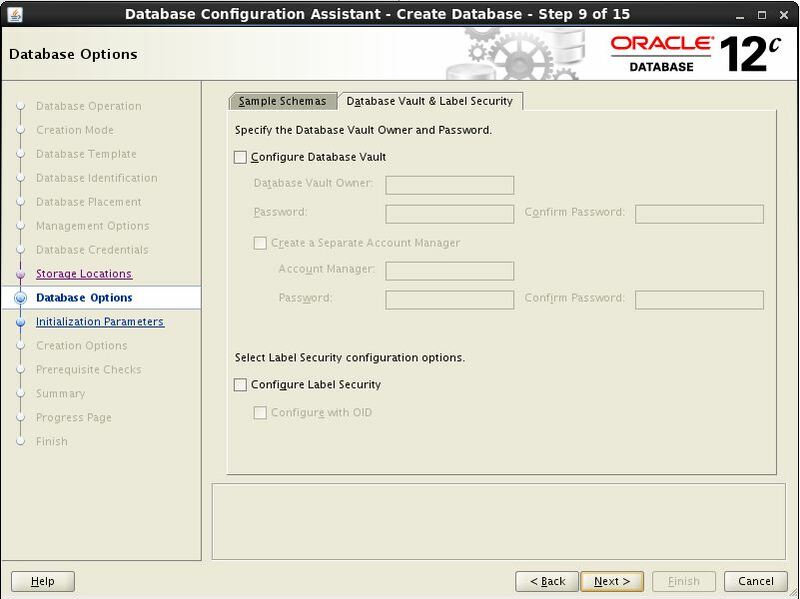 V$LOGMNR_CONTENTS : Shows changes made to user and table information. V$LOGMNR_DICTIONARY : Shows information about the LogMiner dictionary file, provided the dictionary was created using the STORE_IN_FLAT_FILE option. 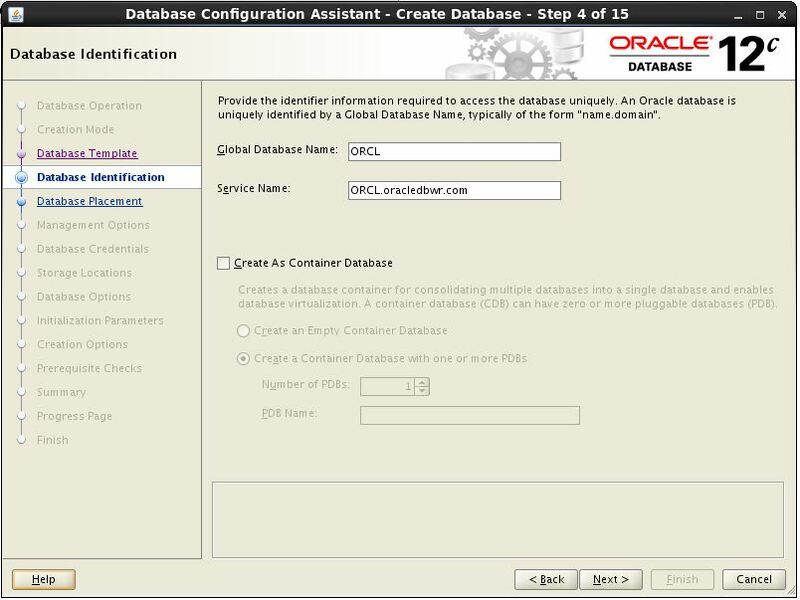 The information shown includes the database name and status information. V$LOGMNR_LOGS : Shows information about specified redo logs. There is one row for each redo log. V$LOGMNR_PARAMETERS : Shows information about optional LogMiner parameters, including starting and ending system change numbers (SCNs) and starting and ending times. 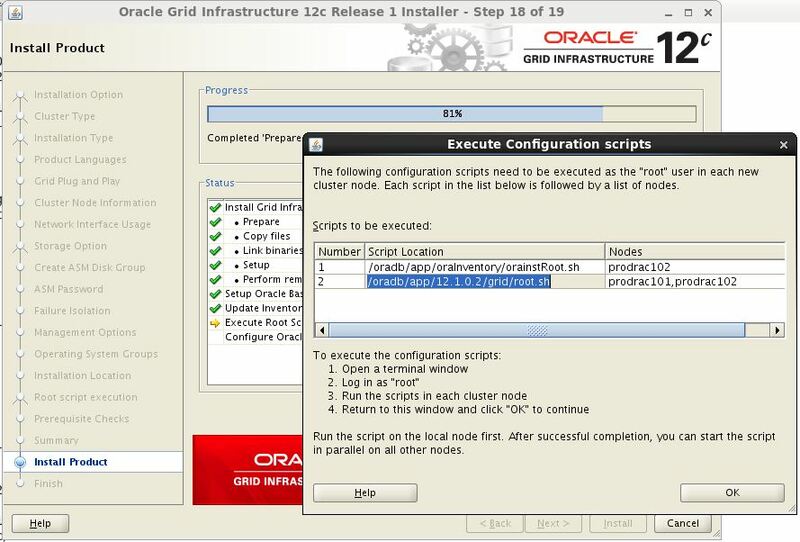 As I said already we have Oracle 12cR1 One Node RAC database configured in Nodes prodrac101 & prodrac102. 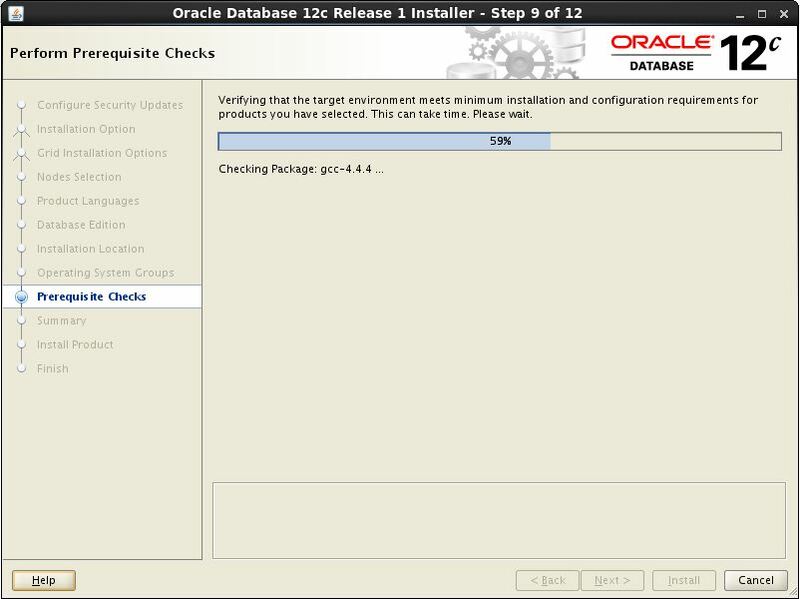 Due to OS maintenance activity, we are in need to stop the oracle services in Node 1 and relocate them to Node 2 to reduce the downtime of the database and make sure the business continuity. 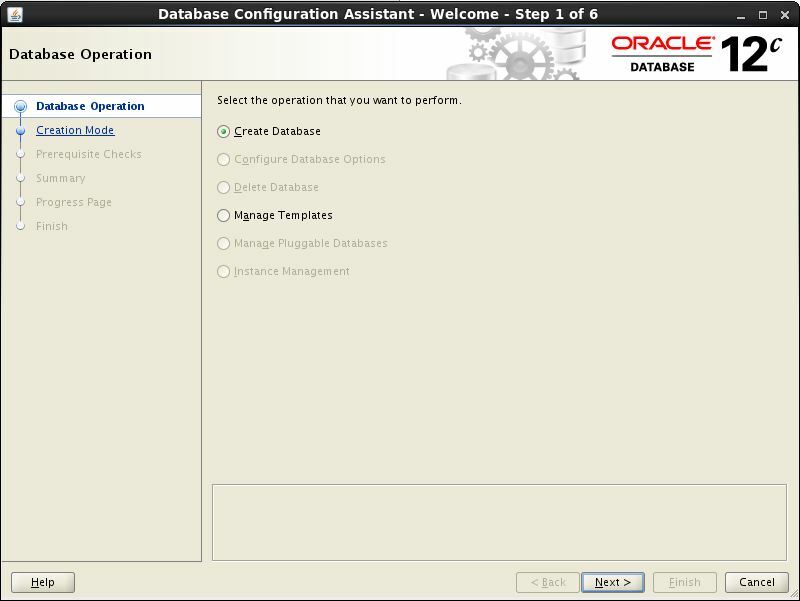 Below is the database configuration output. 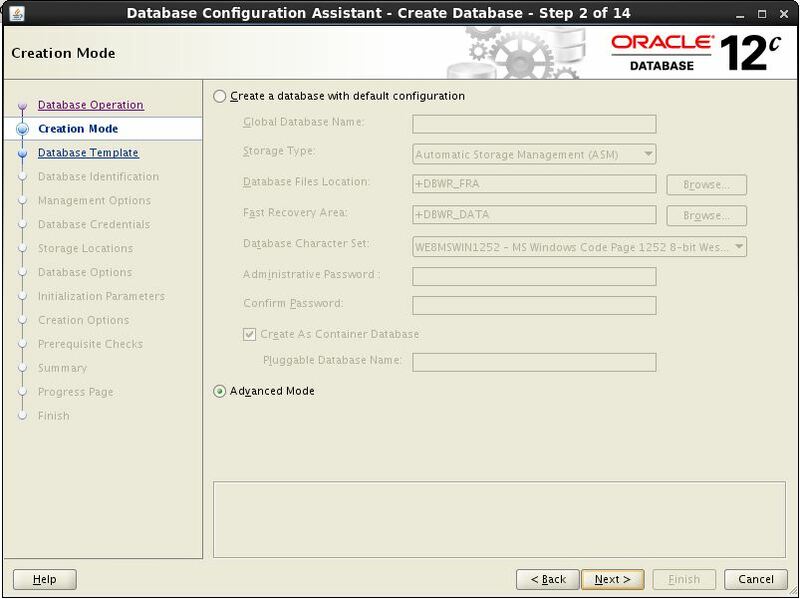 Note-down the serverpool name of the database is configured. 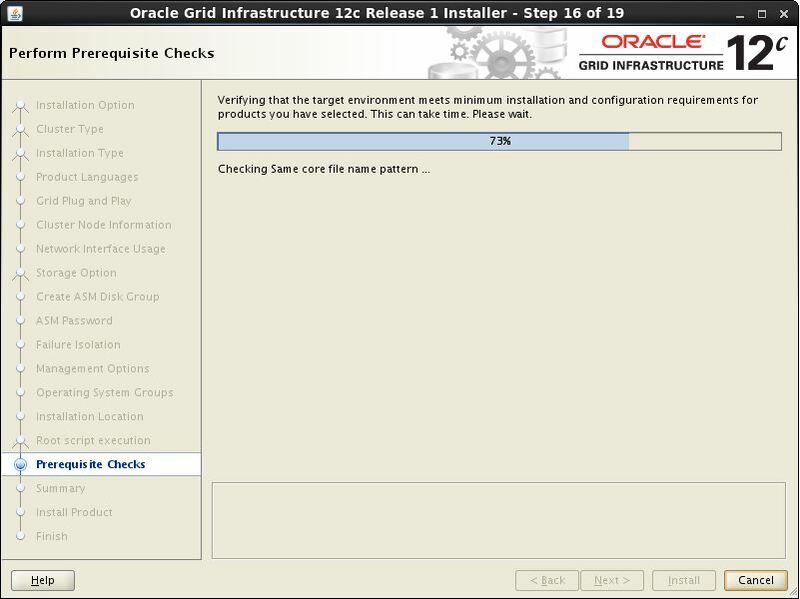 Let us verify the instance is running on which node. From the above output we can see that the instance is running in the first node. 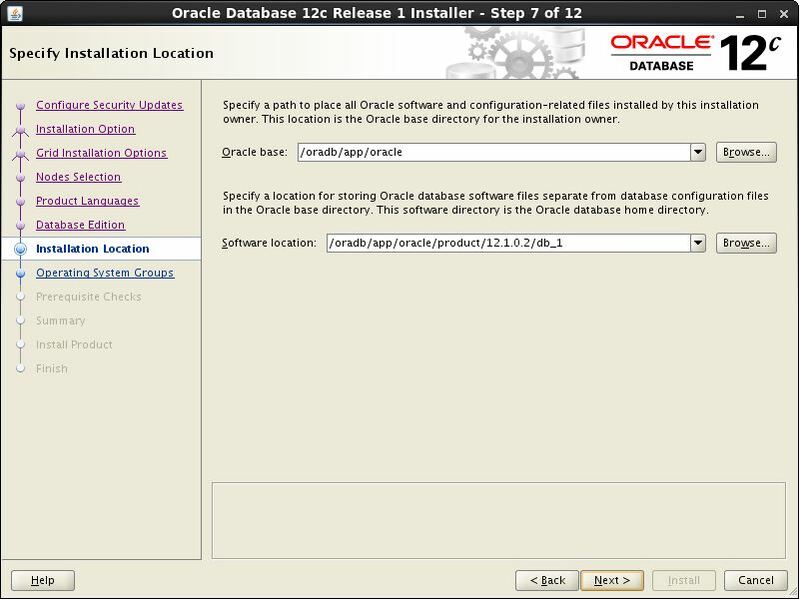 So, we will relocate the instance from Node 1(prodrac101) to Node 2(prodrac102). 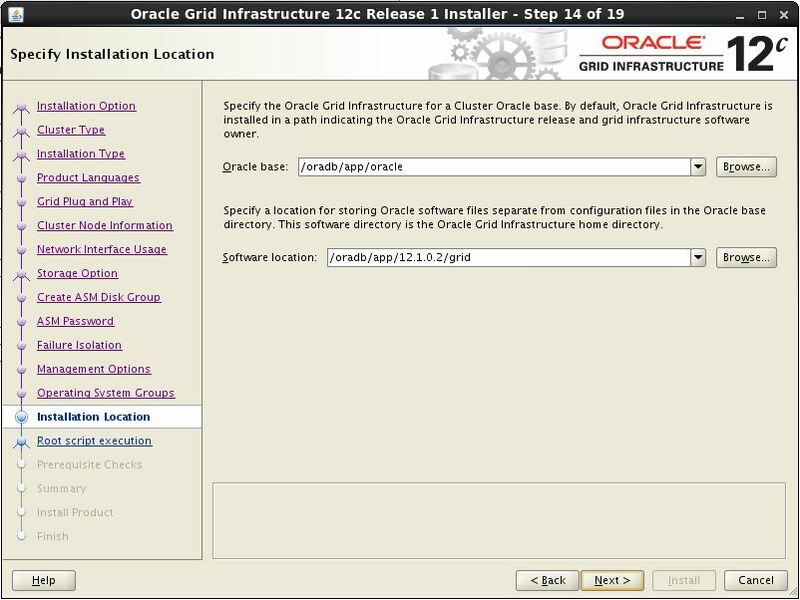 Before we start the relocate process make sure the serverpool’s are configured properly. 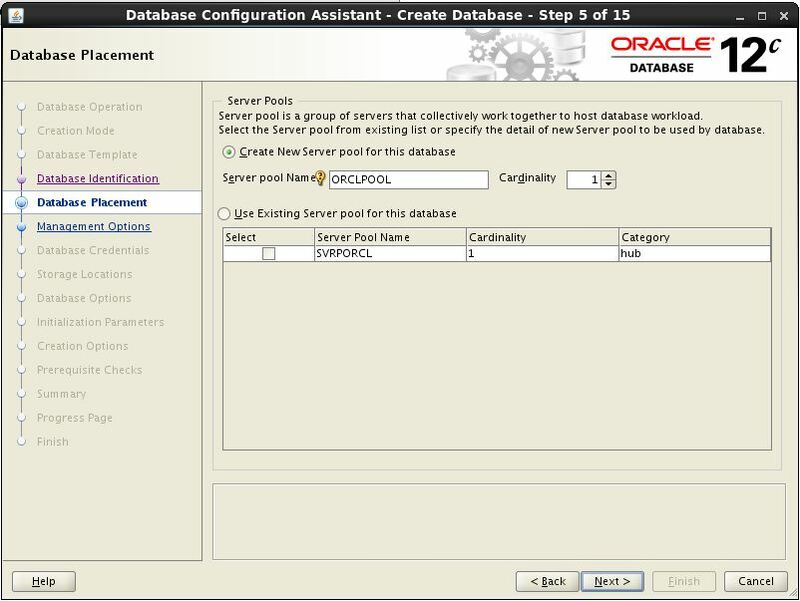 Say for example, below is configuration of serverpool in our environment. 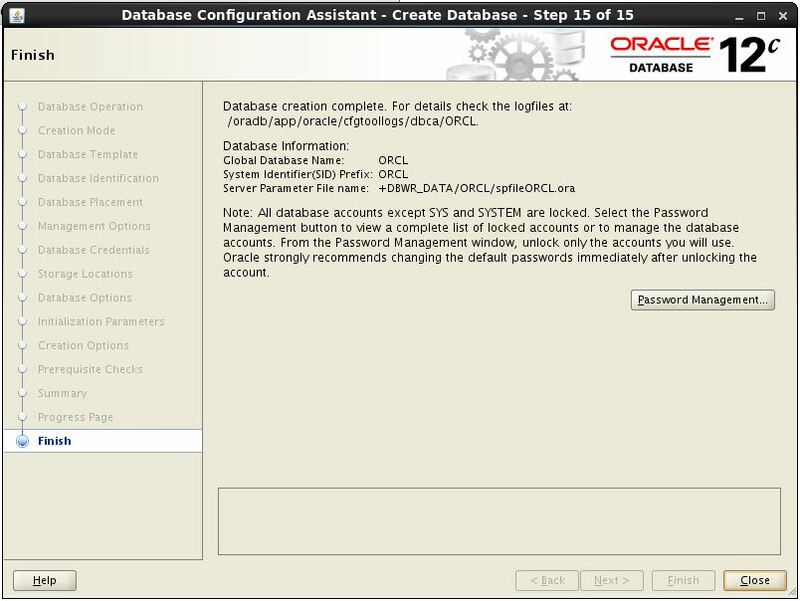 As we already know that our instance is running under “ORCLPOOL” serverpool from database configuration. 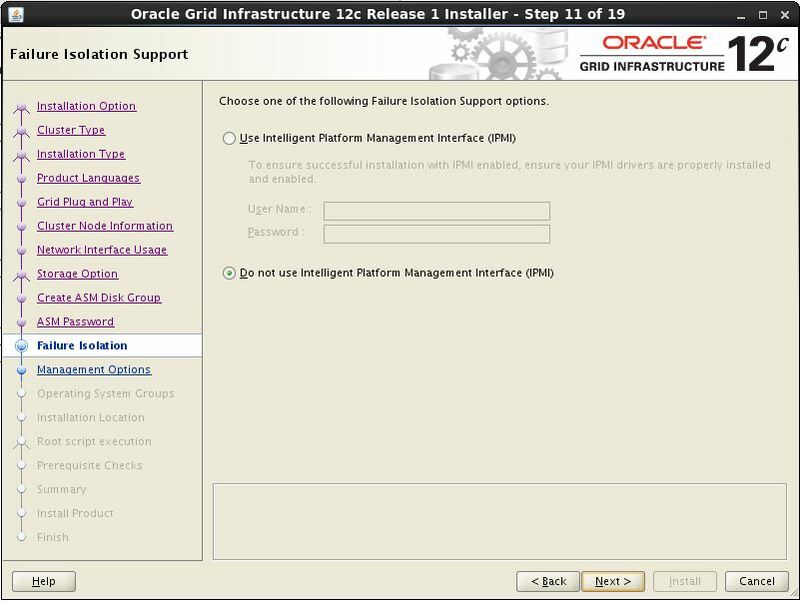 In the above output we can see that the Max value of the serverpool is 1 and we need to change it value, otherwise the relocation process will get failed as below. In order to avoid the above error, we need to increase the max value of the serverpool as below. 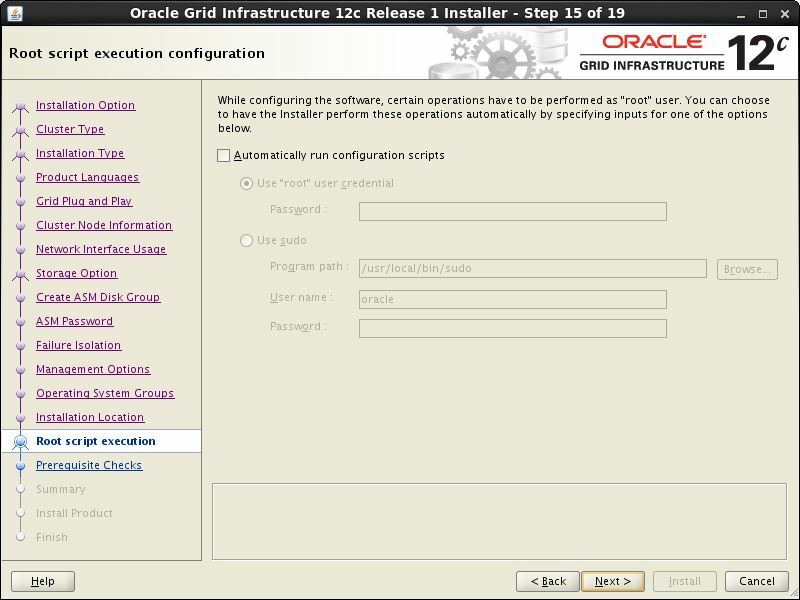 Once the max value is increased, verify the configuration now. Now, we can start the relocation process. 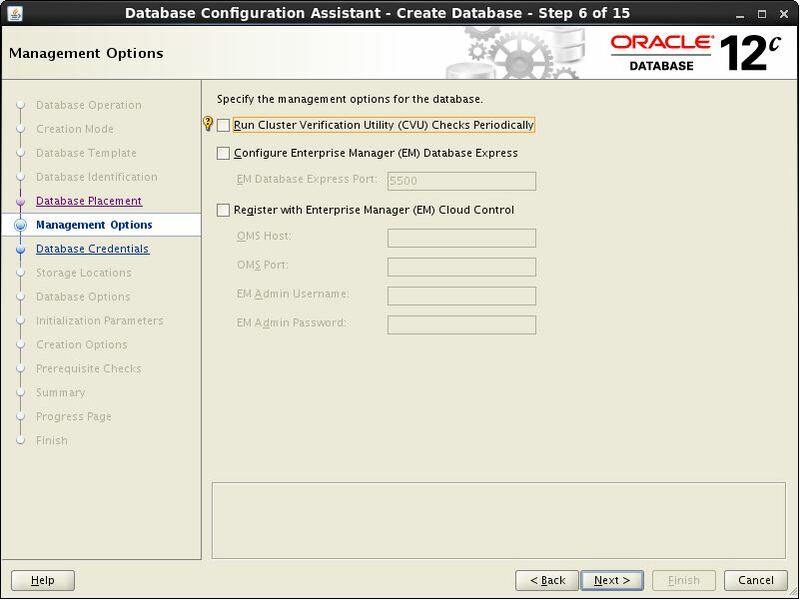 Now, verify the database configuration and on which node the instance is running. 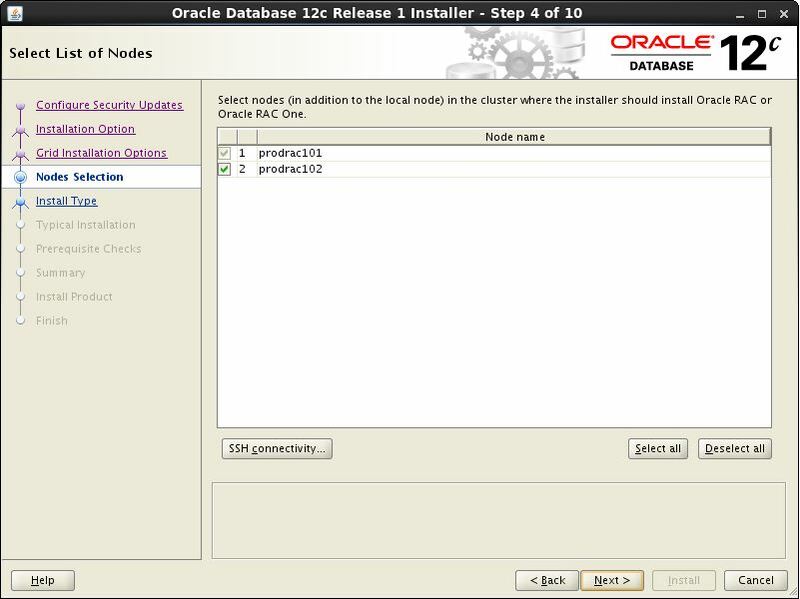 Now, we are sure that the instance has been relocated from Node 1 (prodrac101) to Node 2 (prodrac102). 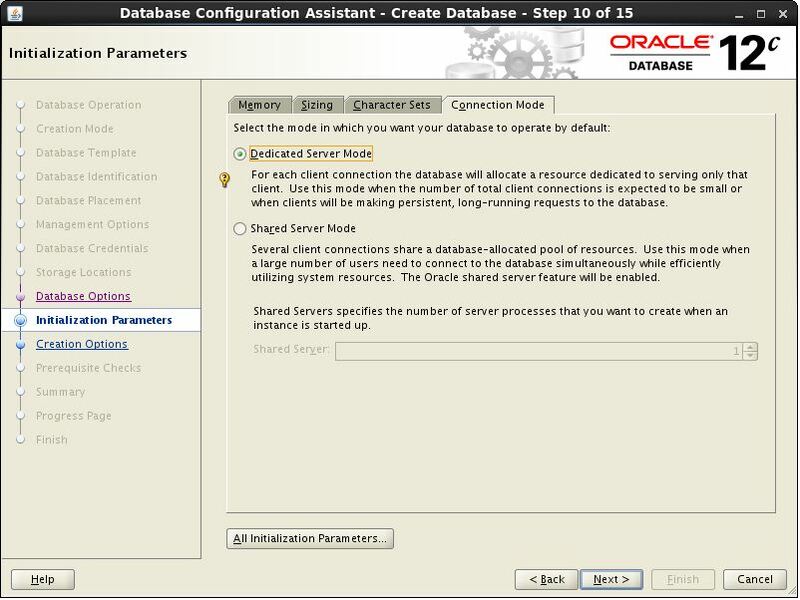 A materialized view in Oracle is a database object that contains the results of a query. They are local copies of data located remotely, or are used to create summary tables based on aggregations of a table’s data. 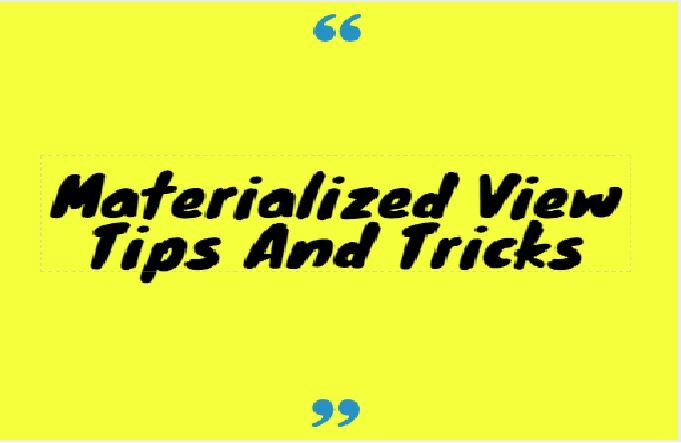 A materialized view can query tables, views, and other materialized views. IMMEDIATE : The materialized view is populated immediately.This option is default one. 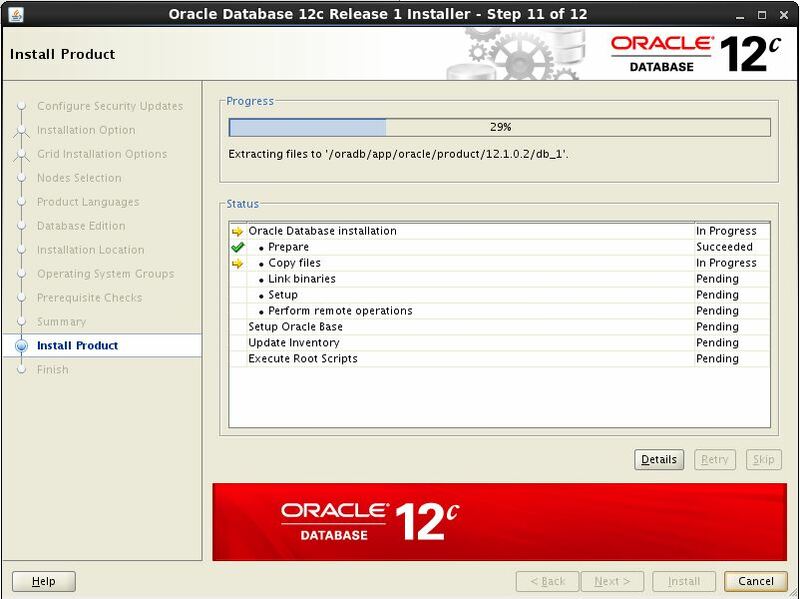 FAST : A fast refresh is attempted only there is a change in base table. If materialized view logs are not present against the source tables in advance, the creation fails.To maintain the history of change in the base table ,it is known as materialized view log.It is named as MLOG$_<base_table>. 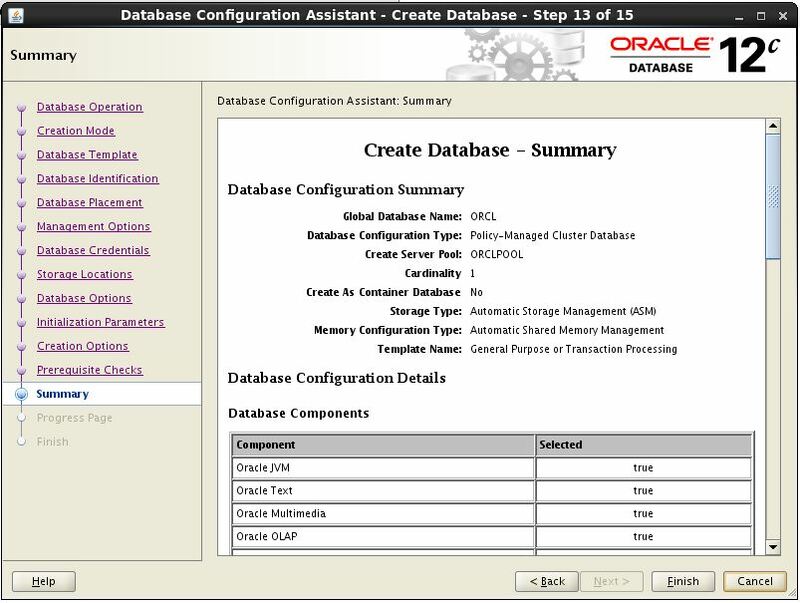 Materialized view log will be located in source database in same schema as master table.Refresh fast will perform refresh according to the changes occurred in master table. 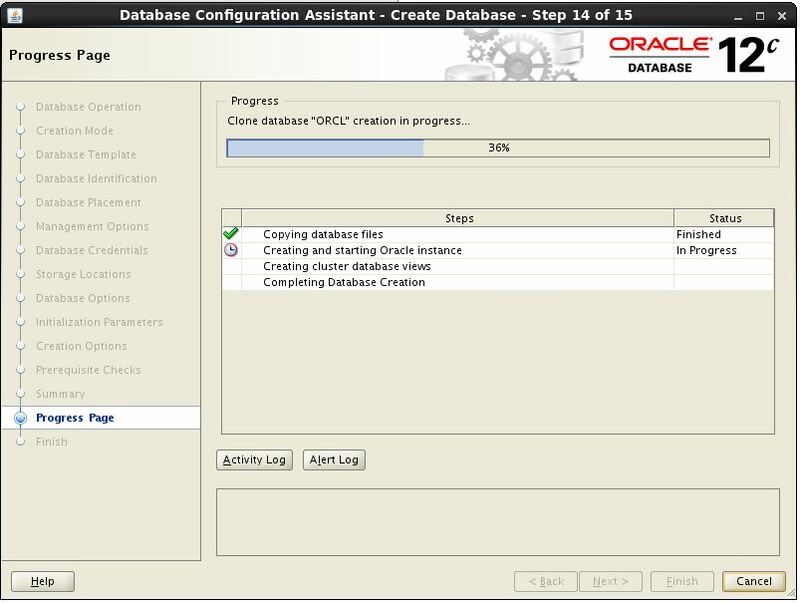 Manually using complete refresh using the DBMS_VIEW package. ROWID changed after refreshing MV. 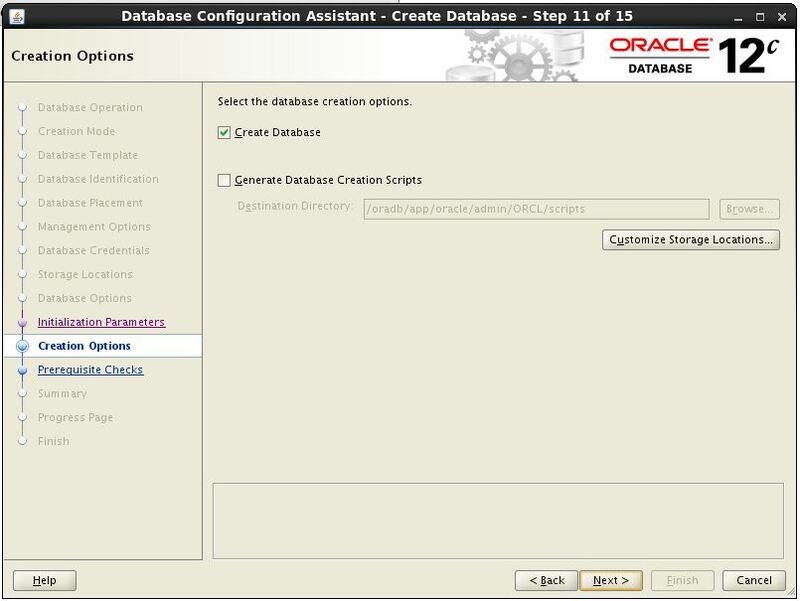 ON COMMIT option is used to refresh the materialized view when the base table DEPT data gets committed.So we don’t need to manually run the DBMS_VIEW package. 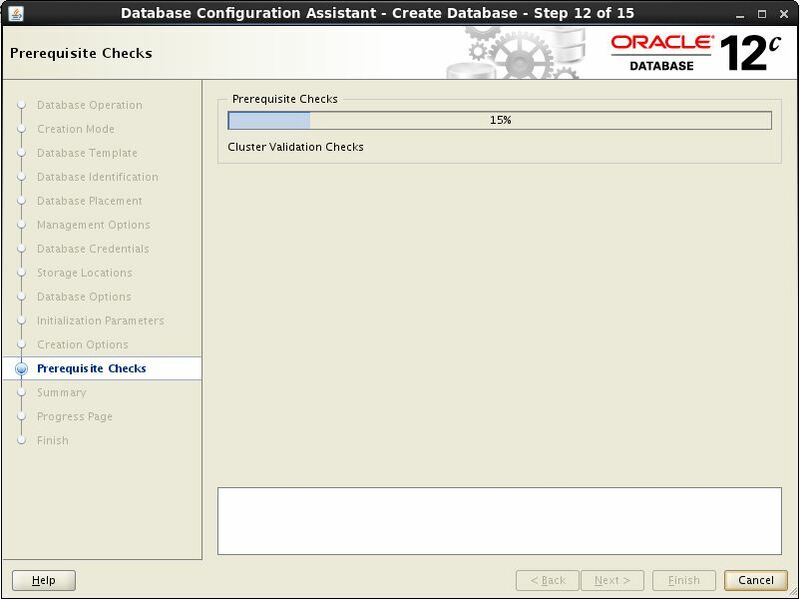 Check the primary key constraint to create MV log with primary key. 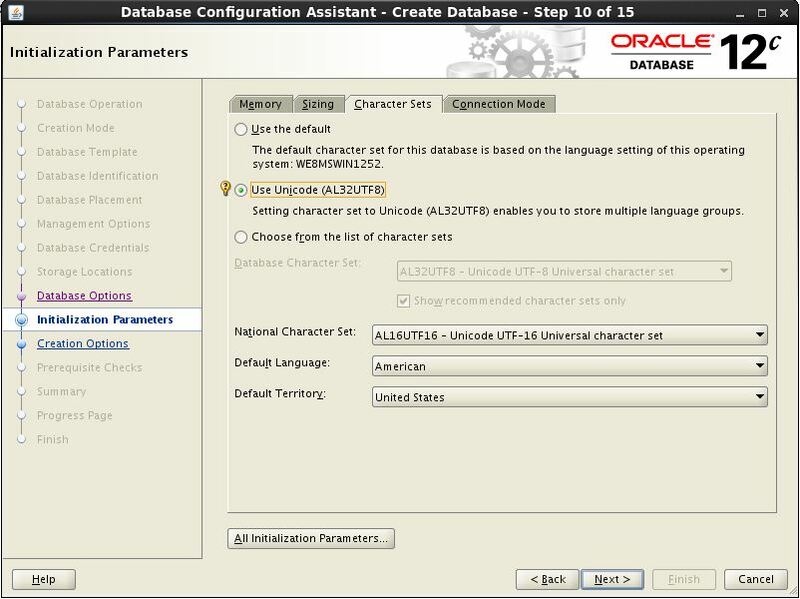 A materialized view log is a schema object that records changes to a master table’s data so that a materialized view defined on the master table can be refreshed incrementally. It has to be created where the base table DEPT is present. For FAST refresh option,the table will not recreated all data only the datas changed will get updated.It will get information from MV log table and perform the refresh. No ROWID gets changed except for the update DML operation.SO i will not create entire new result set using new ROWID like refresh complete. Once MV is got fast refreshed then entries mentioned in MV log will be removed. 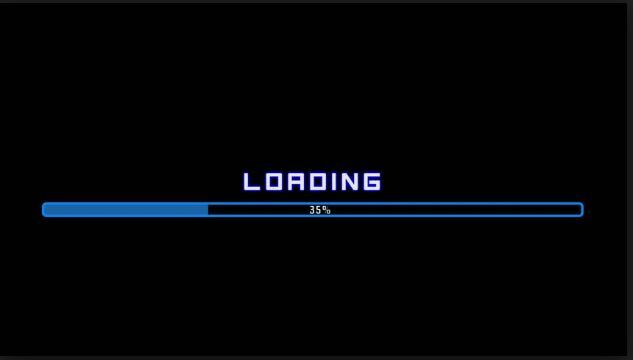 First it will try to do FAST refresh.If MV view log is corrupted or not available,then it fail to refresh FAST and do complete refresh. 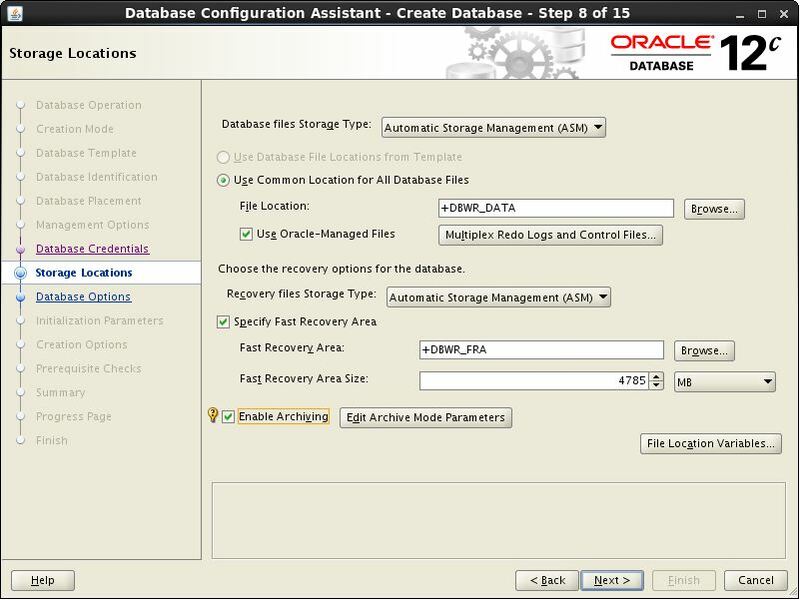 Schedule DBMS_SCHEDULER job daily to refresh materialized view. 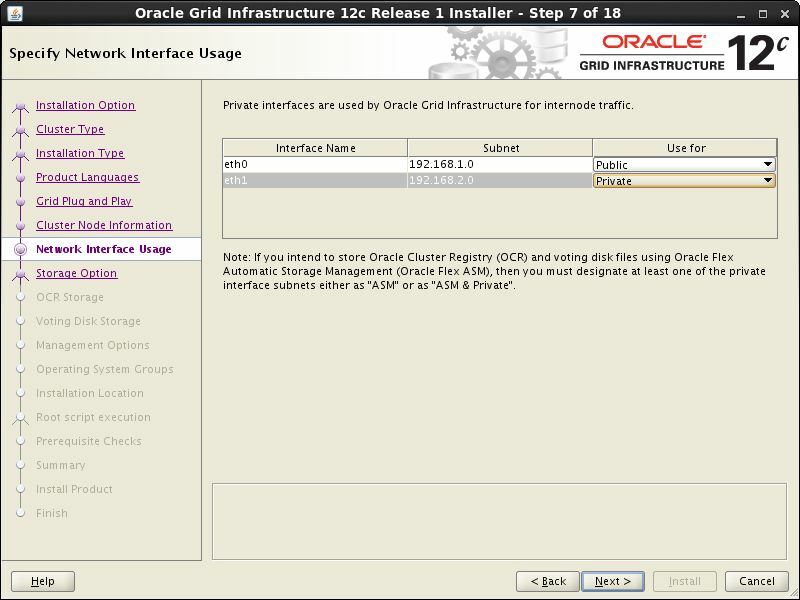 In this article let us configure Oracle 12cR1 One Node RAC. 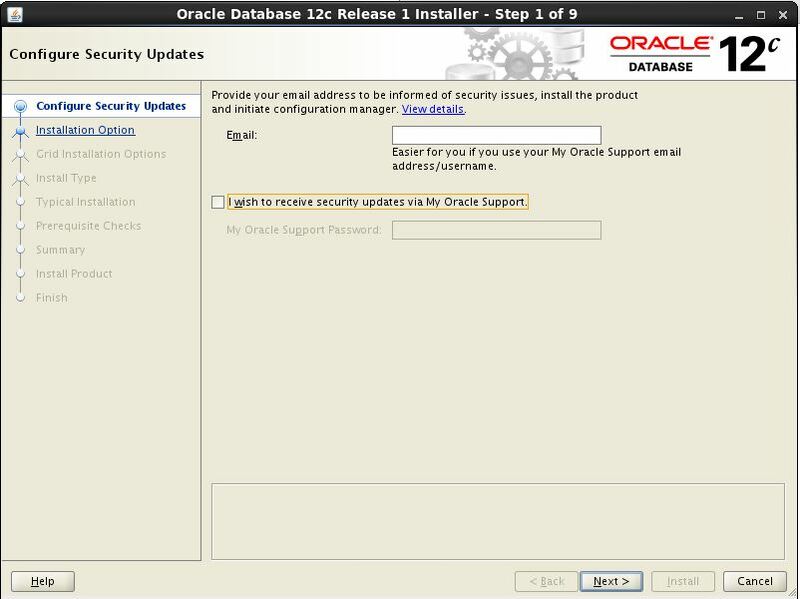 Below is the server details we are going to configure. 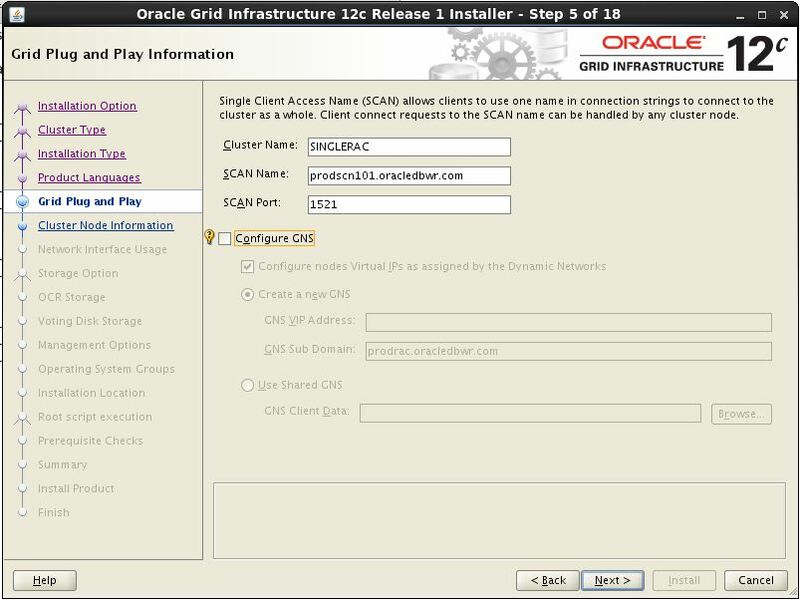 Below is the ip-details of the public, private, virtual and scan configuration. 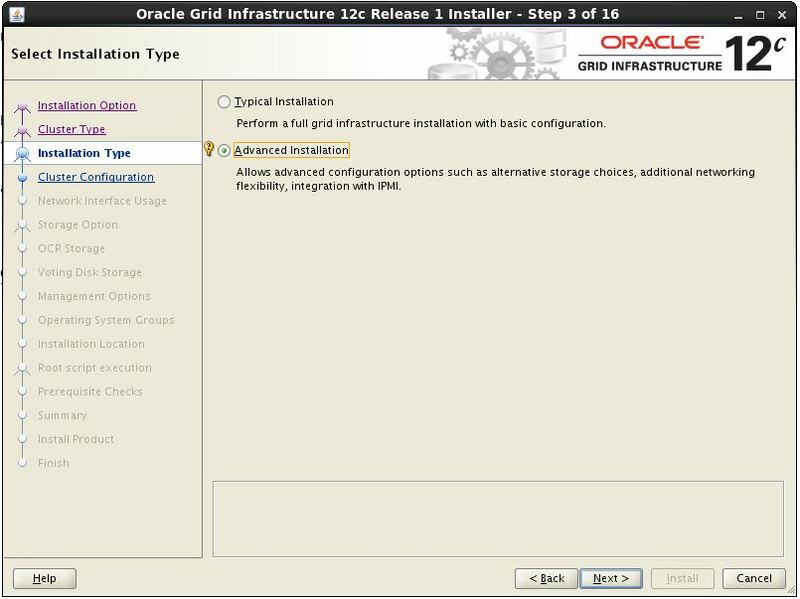 The pre-requisites steps involved in One Node RAC installation is similar to normal two node RAC installation. 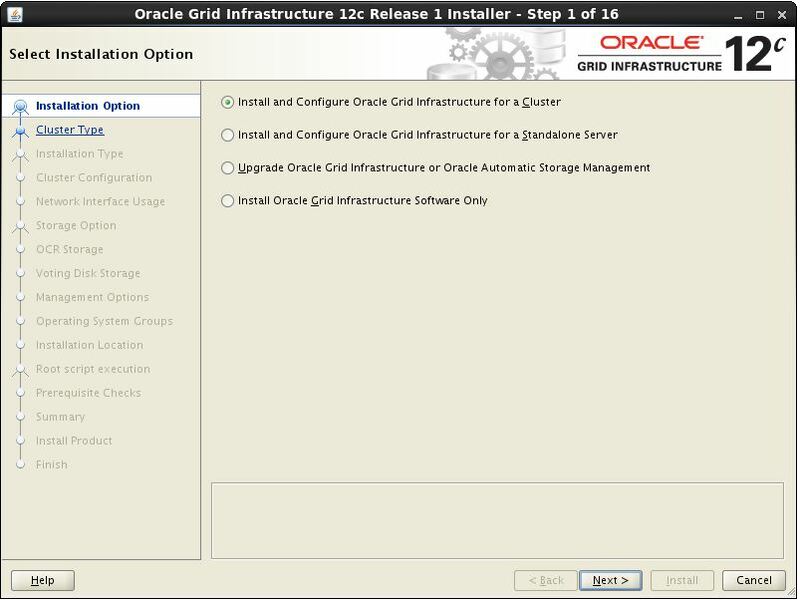 You can refer here for the OS configuration and pre-requisites need to be done for One Node RAC installation(Follow upto Step 79 for OS configuration and pre-requisites). Run the above command in both the servers of the cluster we are going to configure One Node RAC. 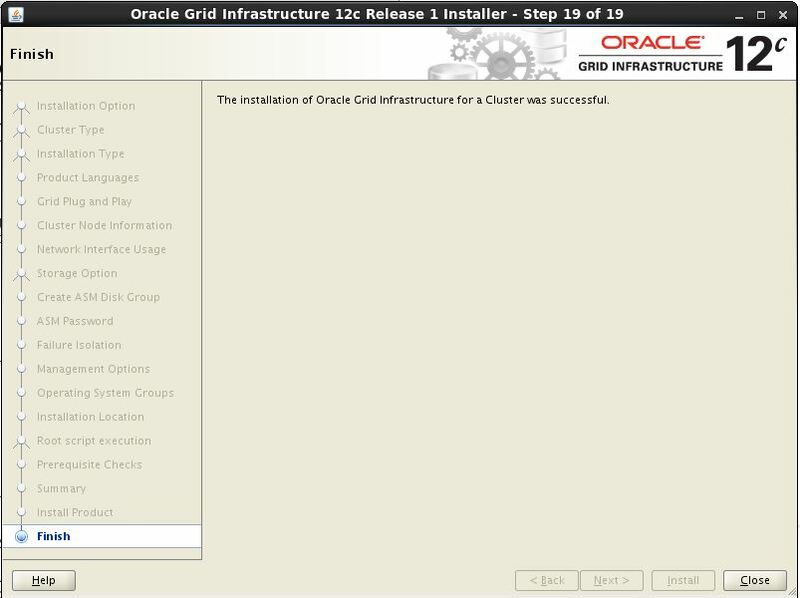 Once the ssh is configured successfully, execute the runcluvfy to check whether all the pre-requisite for RAC installation has been done perfectly. Please check here for the cluvfy output. 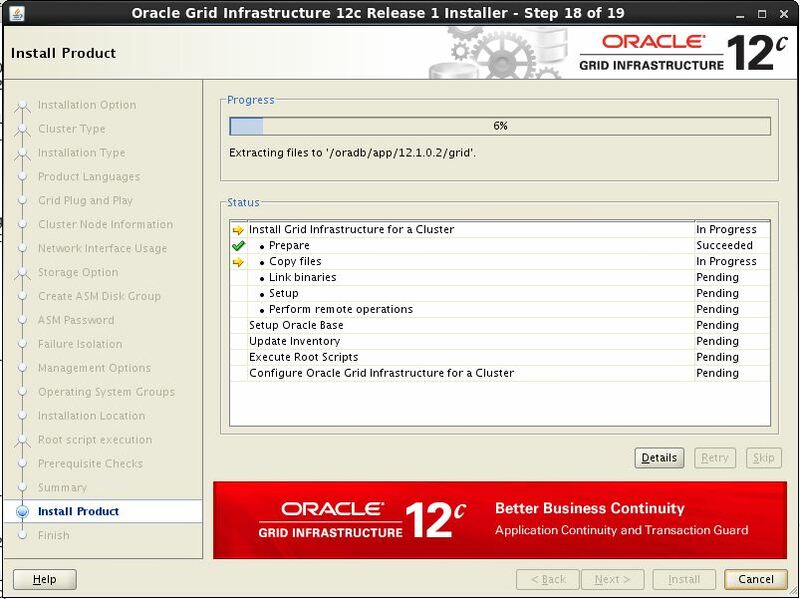 When the cluvfy completed successfully, follow the below steps for the Oracle 12cR1 grid installation. 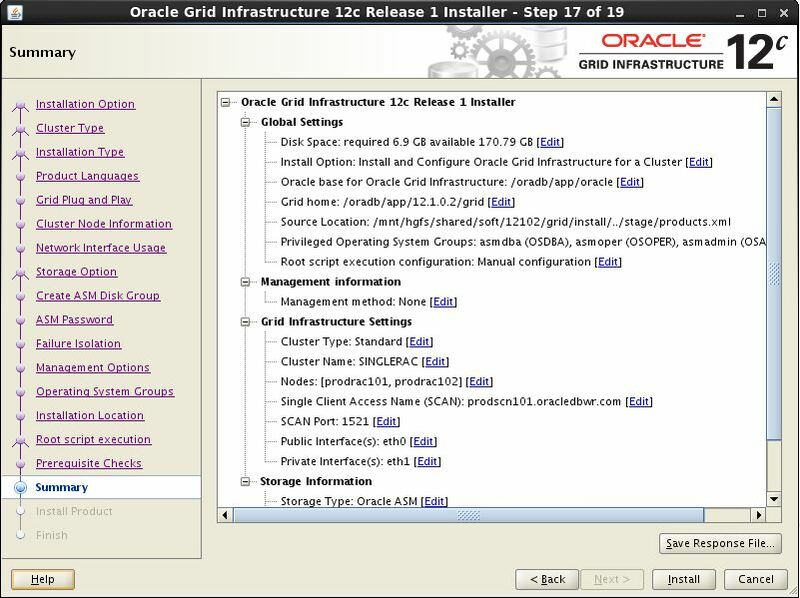 Go to the unzipped directory of the grid software and start the grid installation by executing the runInstaller. 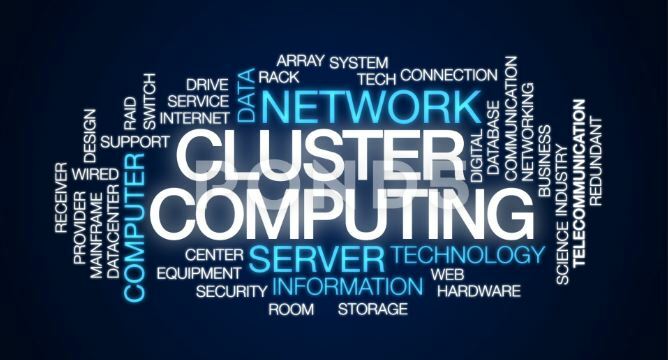 Here, provide a cluster name and the scan-name of the cluster. 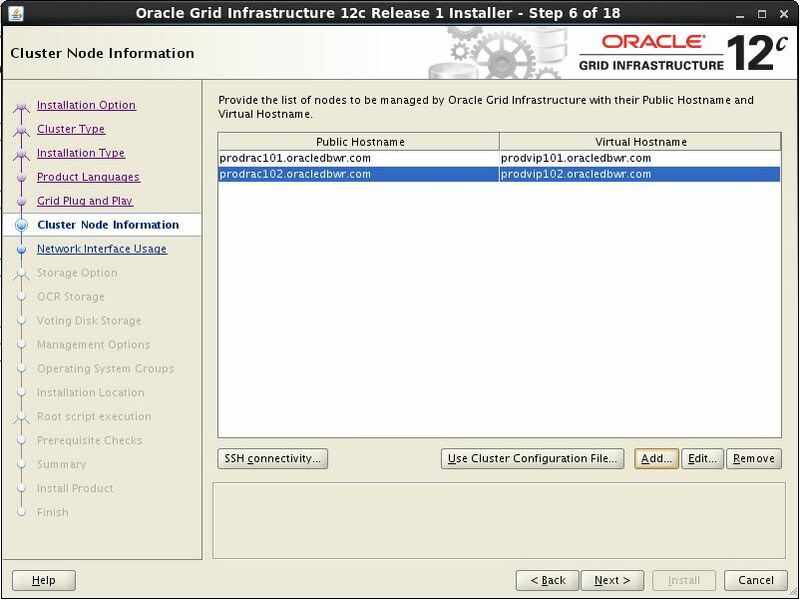 As similar to normal two node RAC installation, provide the public and virtual ip address name’s of the servers in the below page of the configuration. 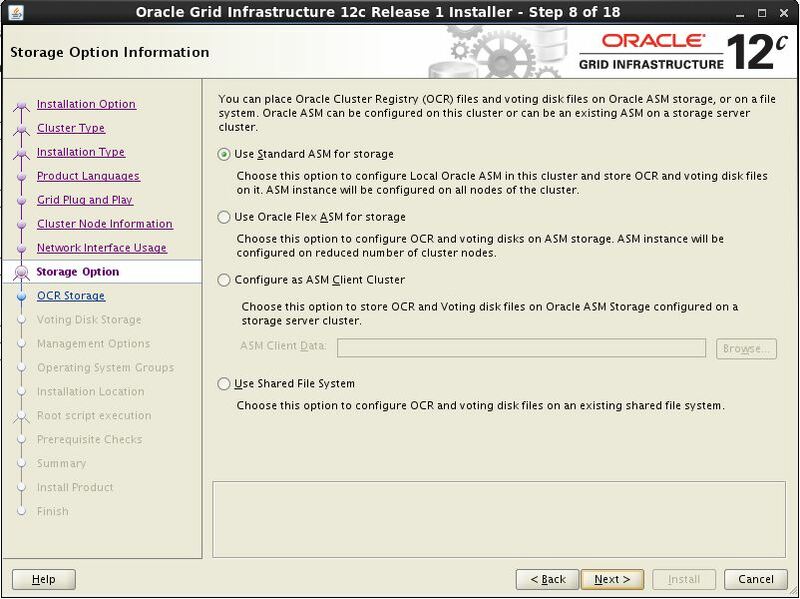 Select a diskgroup where we need to place the OCR and voting disk of the cluster. 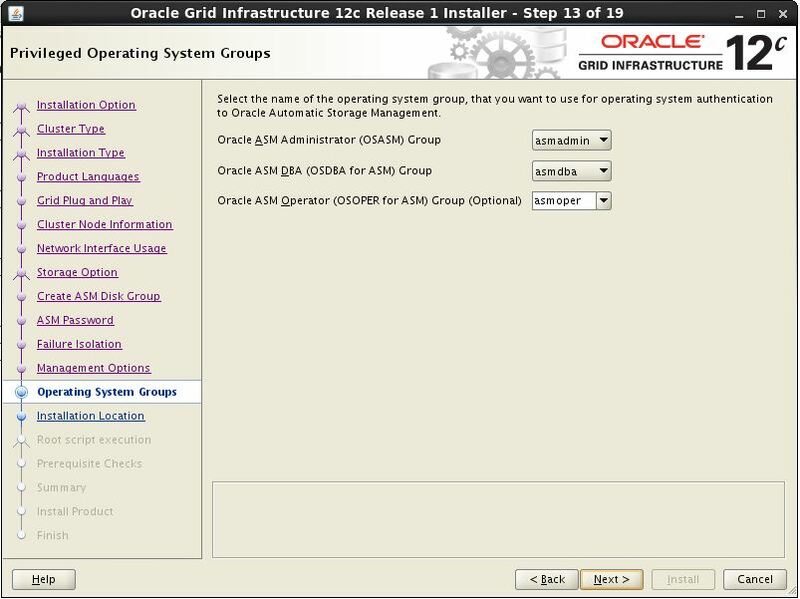 Changing groupname of /oradb/app/oraInventory to oinstall. 2018/09/01 22:25:44 CLSRSC-4001: Installing Oracle Trace File Analyzer (TFA) Collector. 2018/09/01 22:26:14 CLSRSC-4002: Successfully installed Oracle Trace File Analyzer (TFA) Collector. 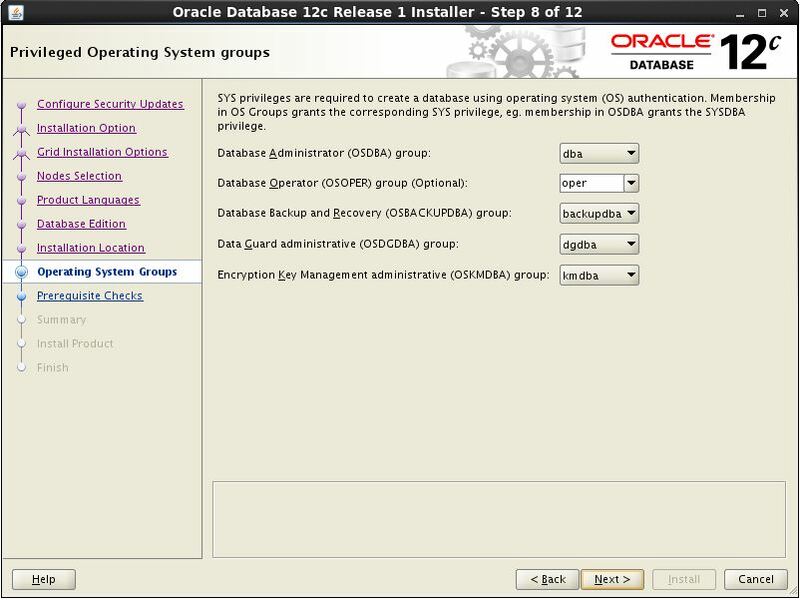 Disk Group DBWR_DATA created successfully. Successful addition of voting disk de3a592de9eb4feabf9fb4121f96c1ae. 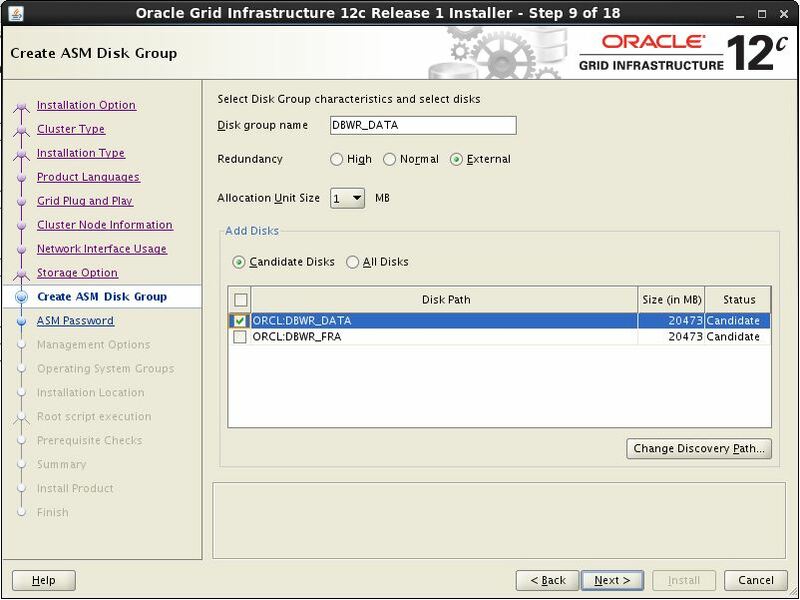 Successfully replaced voting disk group with +DBWR_DATA. 2018/09/01 22:45:47 CLSRSC-4001: Installing Oracle Trace File Analyzer (TFA) Collector. 2018/09/01 22:46:16 CLSRSC-4002: Successfully installed Oracle Trace File Analyzer (TFA) Collector. 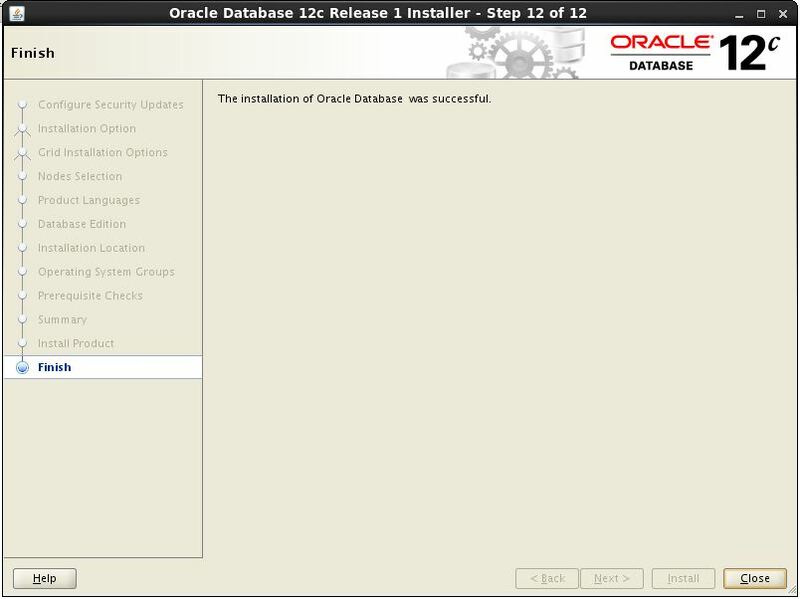 Let us start the Oracle 12cR1 database software installation. 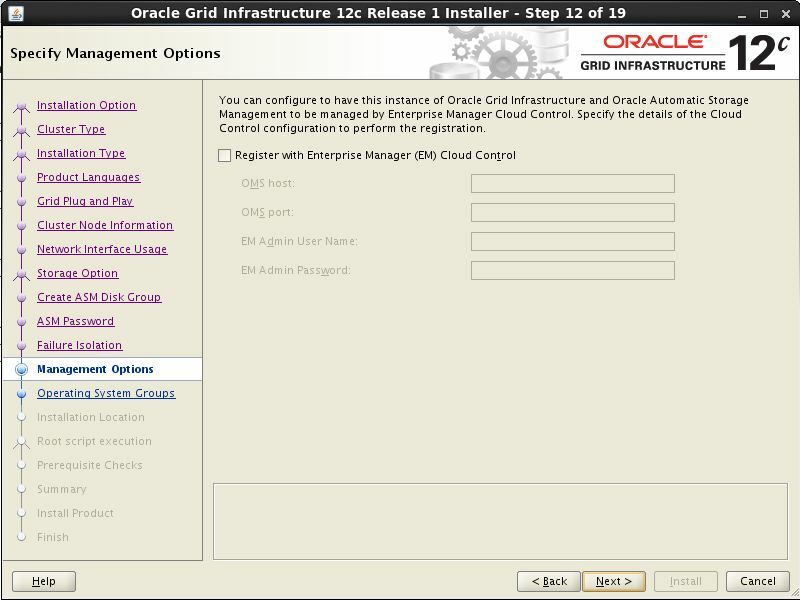 In the below page, select the third option whereas we are configuring One Node RAC installation. 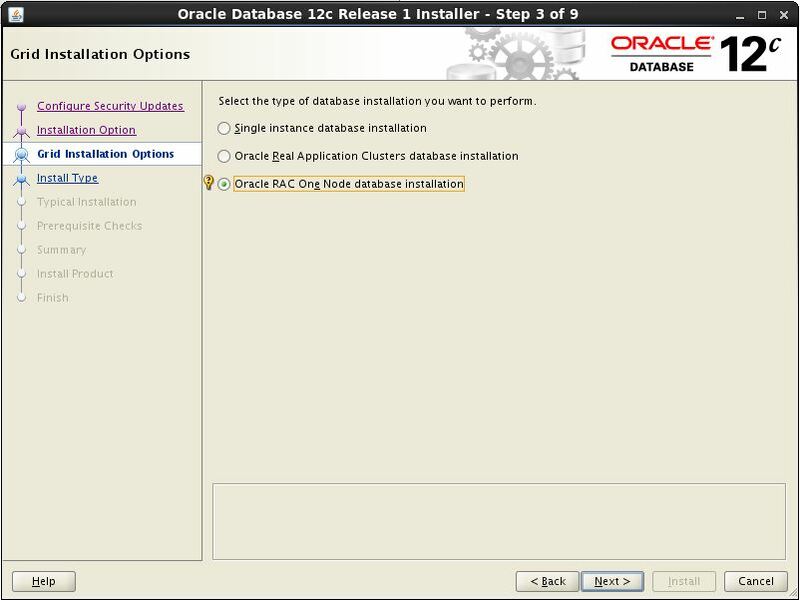 After completing the Oracle 12cR1 database binaries installation, go to the bin directory and start dbca for database creation. 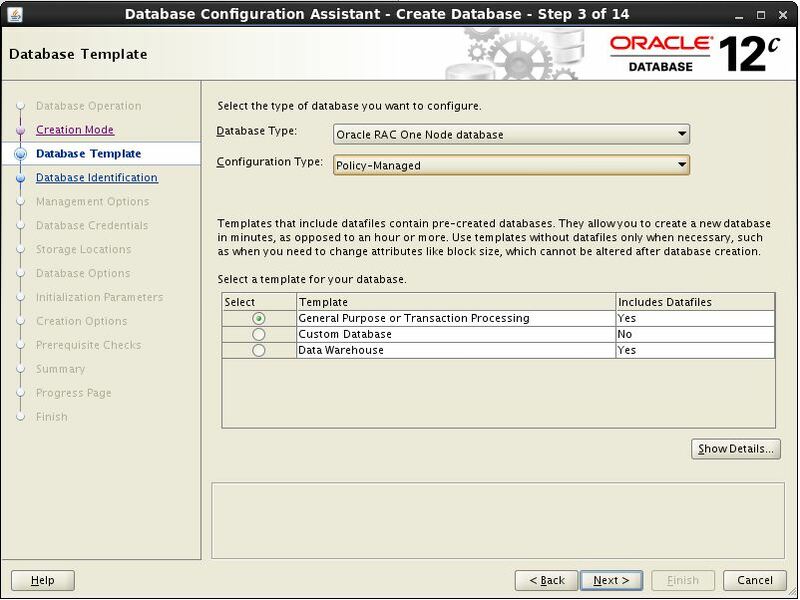 Once the one node RAC installation and database creation is complete, check the database configuration and in which node the database is running by the below commands. 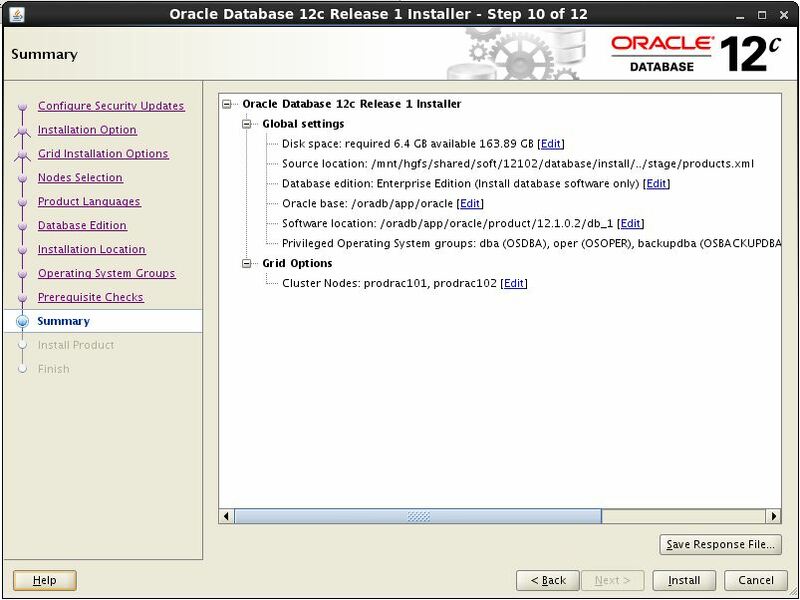 Instance ORCL_1 is running on node prodrac102. Instance status: Open. From the above output we can see that the instance is running in the second node.